Should luxury cotton bed sheets & linens be ironed? Home / FAQ / Do I need to iron Vero's sheets? The concept of ironing sheets may be new to some people. However, this is not a requirement when it comes to Vero’s Linens luxury bed sheets. Ironing your Vero sheets will not cause them any damage, although they will look and feel better if they are ironed. If you do not like ironing and lucky, find someone else to do it for you or even pay someone to do it. It should be noted that Vero sheets are 100% cotton and all cotton sheets can wrinkle. Cotton poly blends do not wrinkle as much as sheets that are 100% cotton. But those blends do not feel as soft on your skin and they do not breathe like 100% cotton. The combination of a light mist of water and tension can also diminish wrinkles as Vero Linens offers spray products that will do the job. When laundering your sheets, use a mild detergent and do not overload the dryer. Also, do not dry your sheets excessively as that will just create new wrinkles. In this video, we provide some pointers that will minimize wrinkles. We also explain how to get the wrinkles out of your linens without the use of an iron – that’s right, you do not have to use an iron. Vero Linens offers all types of fine Italian linens that could transcend your entire sleep experience. When it’s time to go shopping for elegant linens, Italian duvet covers, or snow white down comforters, look to Vero Linens for the best of the best in luxury linens. To shop for Italy's finest luxury bedding, click on the below shop now button. 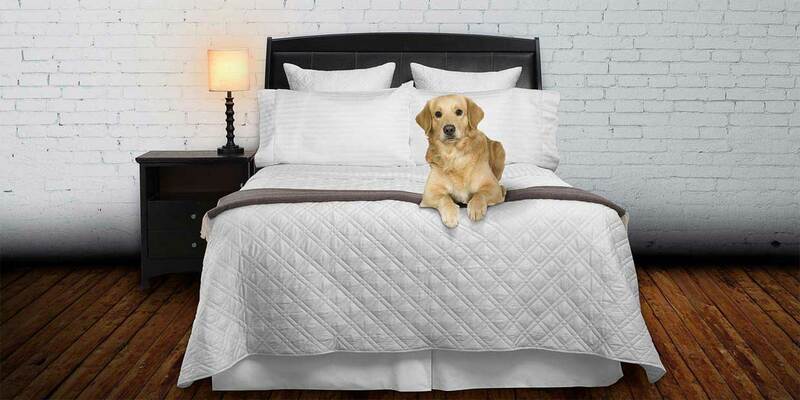 Use code bedding tips at checkout and get 5% off your entire purchase. View our 150+ “How to Tips” bedding related articles & videos found here.